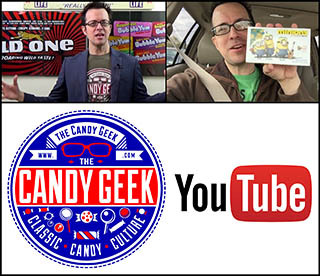 ← Easter Week 2014: Hershey’s Eggs Past and Present! 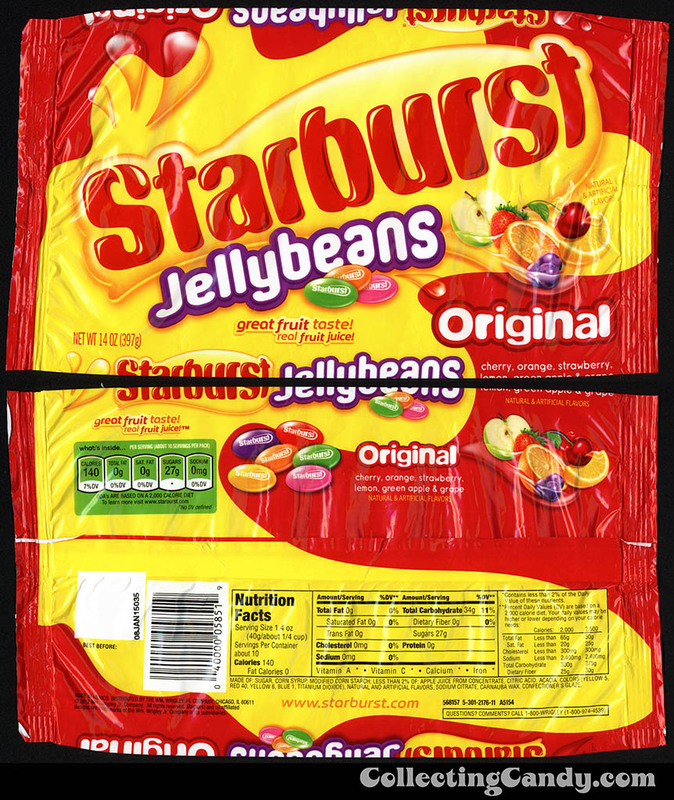 If Halloween is the season of candy corn than Easter must certainly be the season of the jellybean. It no doubt has to do with how well the colorful confections complement the look of traditionally dyed Easter Eggs. 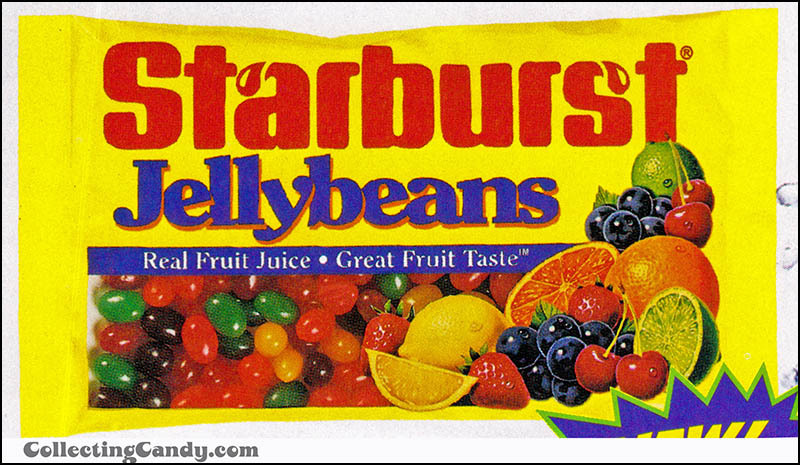 These days, countless candy brands will release their own branded jellybeans during the lead-up to Easter. 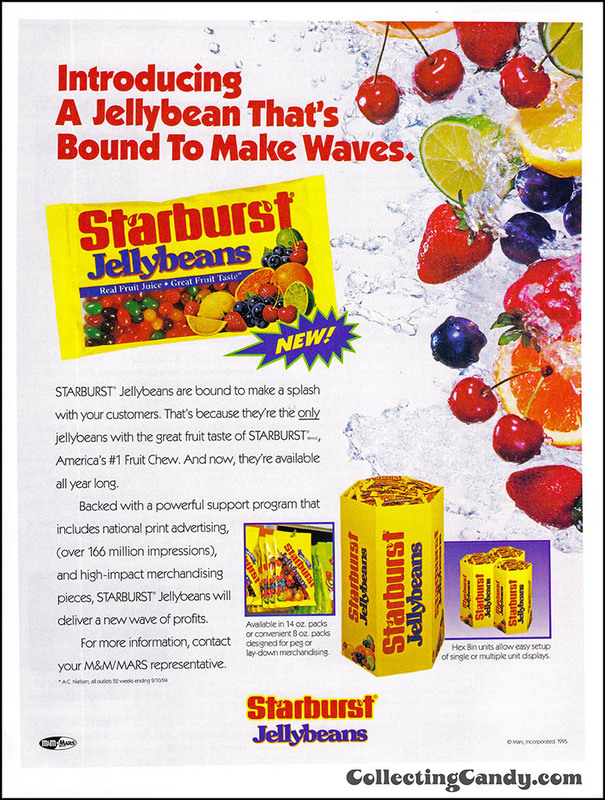 One that has been doing so for longer than you might realize and has also carved out quite a successful niche for itself is Starburst, with its Starburst Jellybeans line! 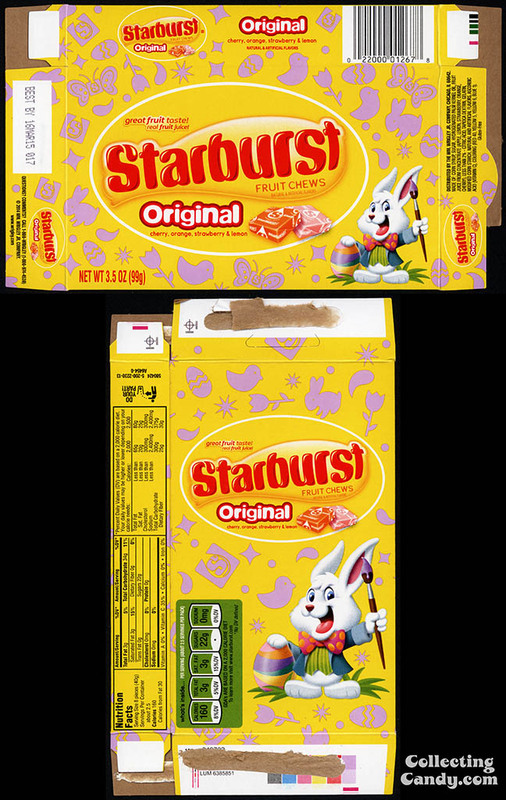 As you can see, the design of the packaging had already evolved pretty significantly by that point. 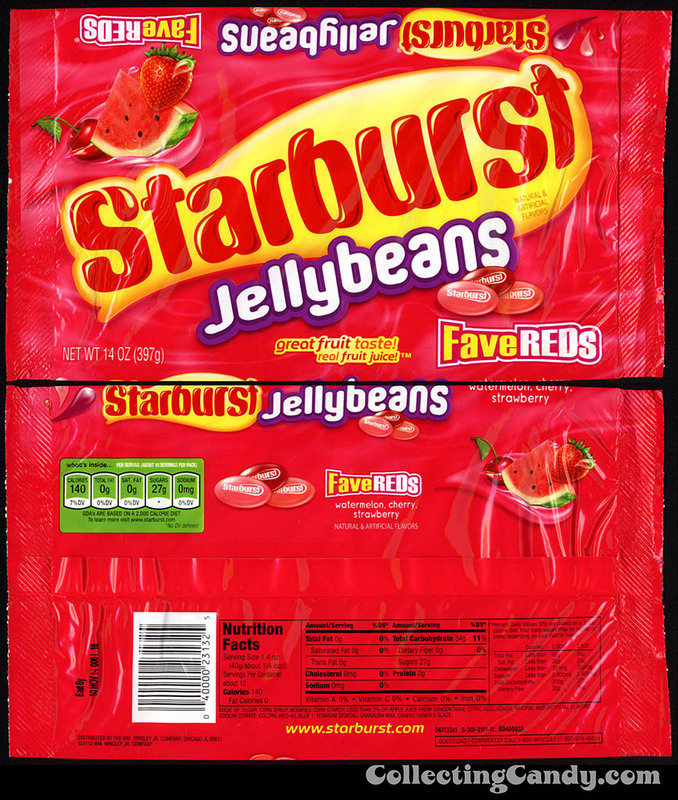 Jumping ahead to the last few years and especially today, Starburst Jellybeans have become a pretty big area for the Starburst brand. 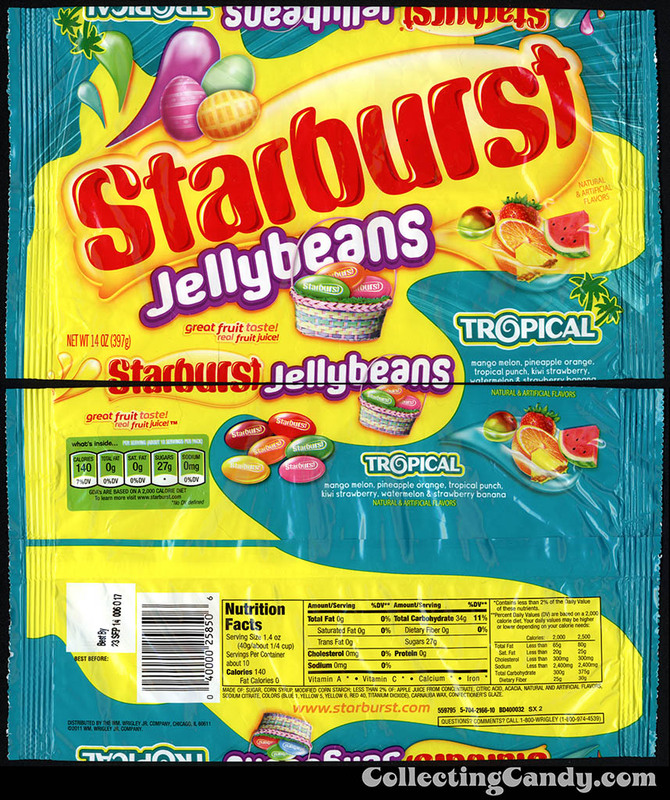 Perhaps the current variety of Starburst Jellybeans is why I assumed that they had only been introduced recently – you can’t miss them in the candy isle now. 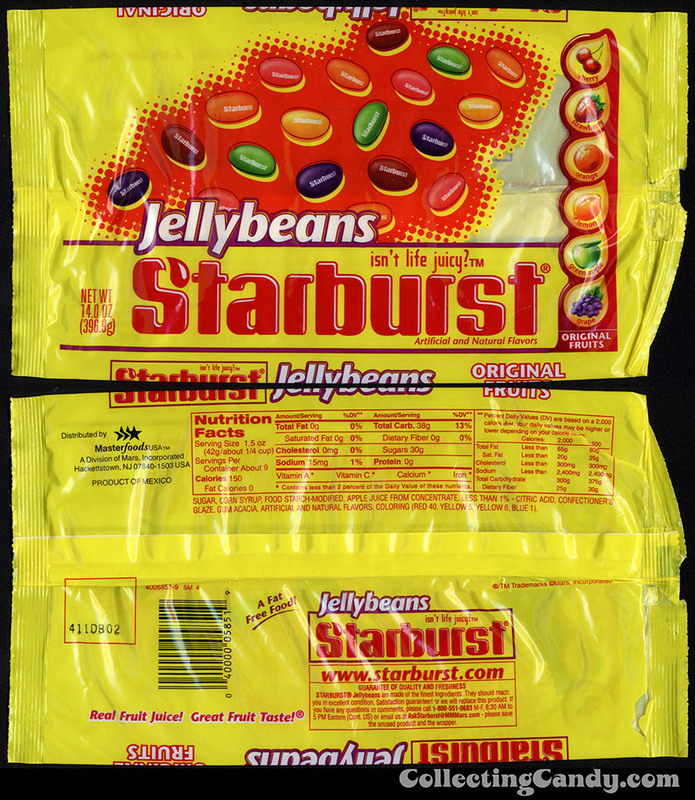 Incorporating the modern version of the Starburst logo and color scheme, the Starburst Jellybean line has expanded quite a bit in the last few years, at least where the larger bags are concerned. 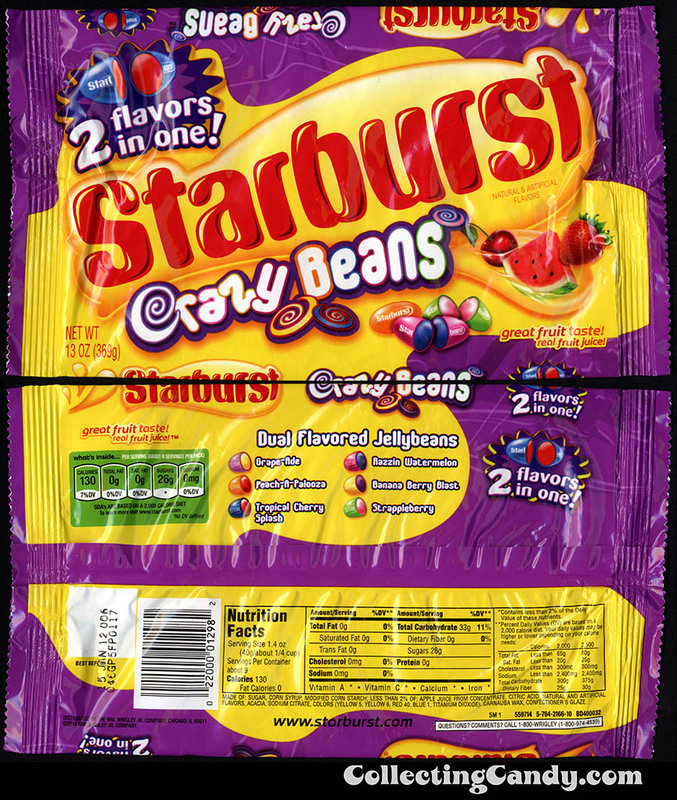 For the last of these flavors, I wanted to show you the packaging for Starburst’s “Crazy Beans”. 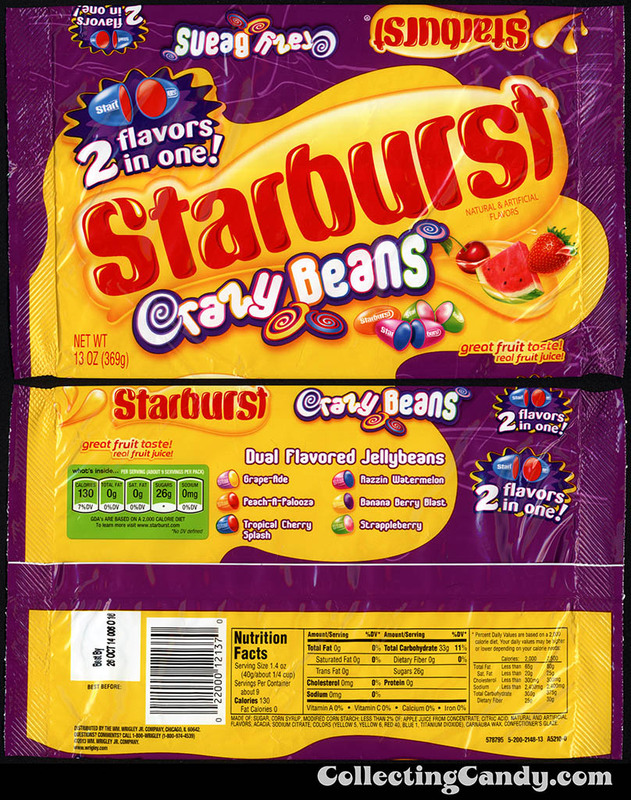 These are notable as they don’t actually refer to themselves as jellybeans, though that is certainly what they are. 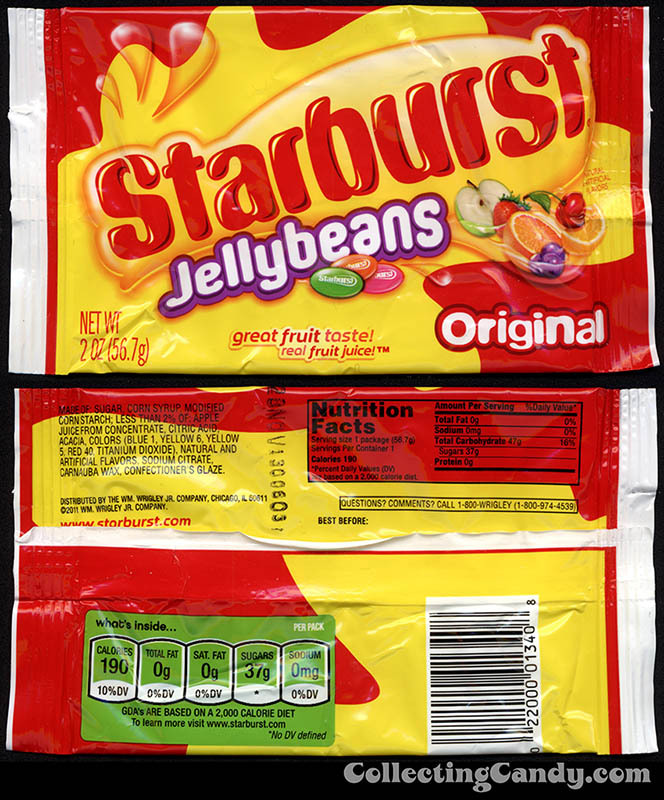 And that’s everything for our look at Starburst Jellybeans and their earlier-than-you-might-think origins. See you next time! 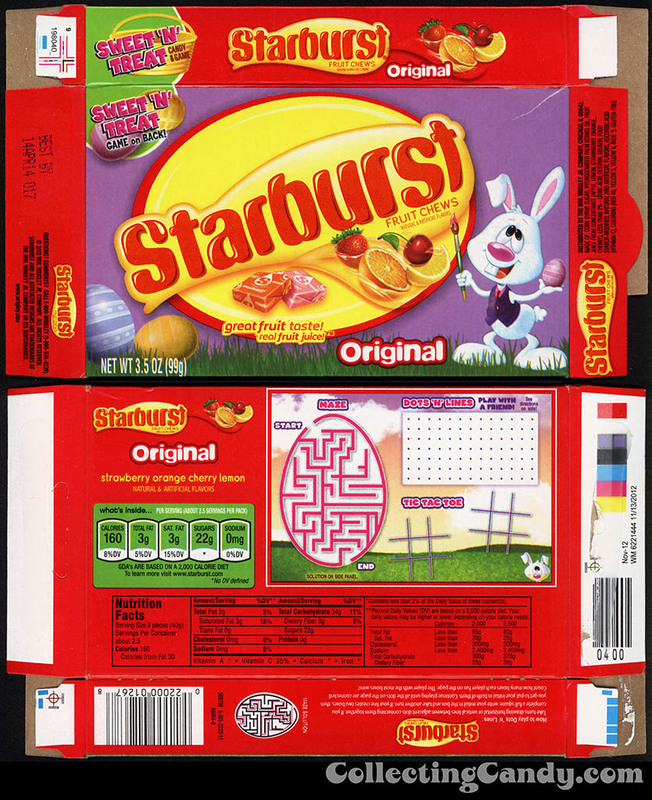 This entry was posted in 1990's, Boxed, Easter, Holiday, Mars, Sour Candy and tagged candy collecting, candy collection, candy collector, candy wrapper collection, candy wrapper collector, chewy, collectible, collecting candy, confectionery, confections, Easter, Easter candy, fruit flavored, holiday candy, jelly bean, jellybeans, packaging, packaging design, Starburst, sweets, vintage candy wrapper, wrapper. Bookmark the permalink. Lovely assortment. I didn’t realize they had been around so long either. 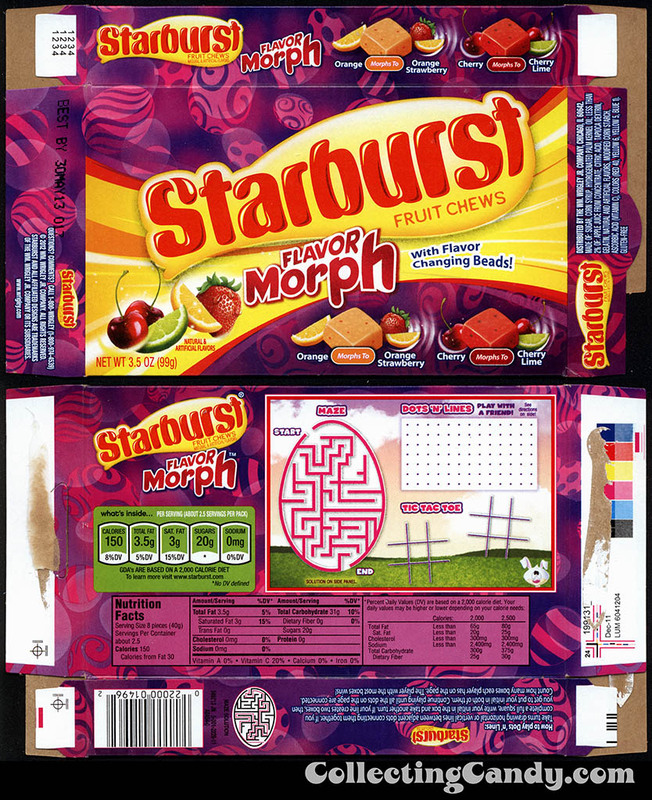 I developed this product for Mars in 1995 and still love to eat them. 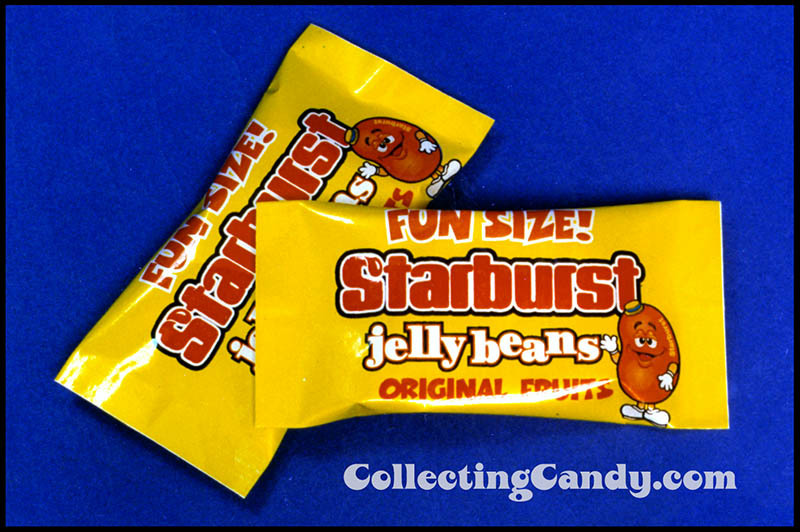 I remember when Starburst Jellybeans were first introduced. 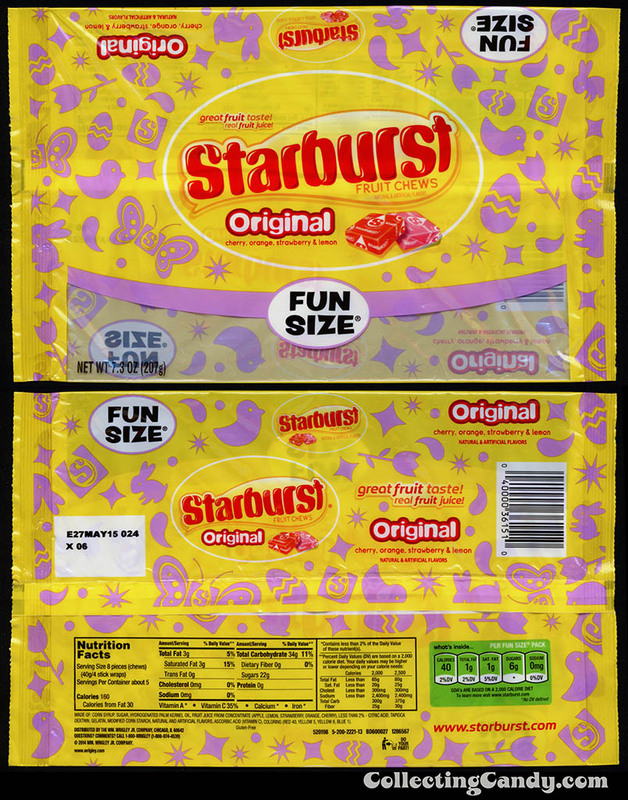 It was a momentous occasion for me because, as a vegetarian, I can no longer eat regular Starburst (which contain gelatin), but I could eat the new Starburst jellybeans (which do not). I don’t recall the exact year, but 1995 sounds about right, as I know where I was living at the time and where I bought them. 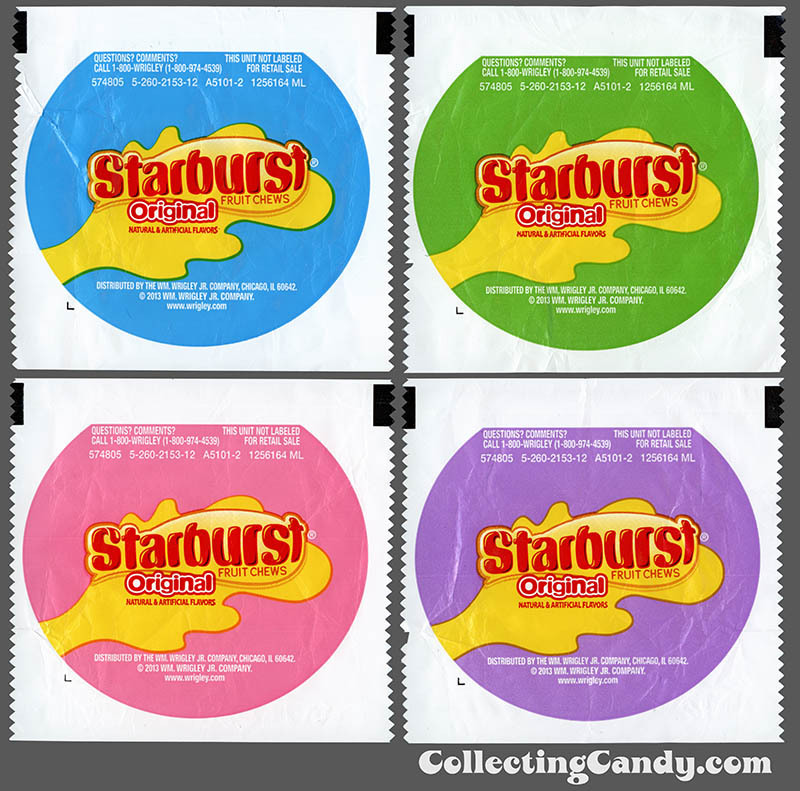 I also remember the original packaging. I only discovered the Sours and the Fave Reds this year (2017). 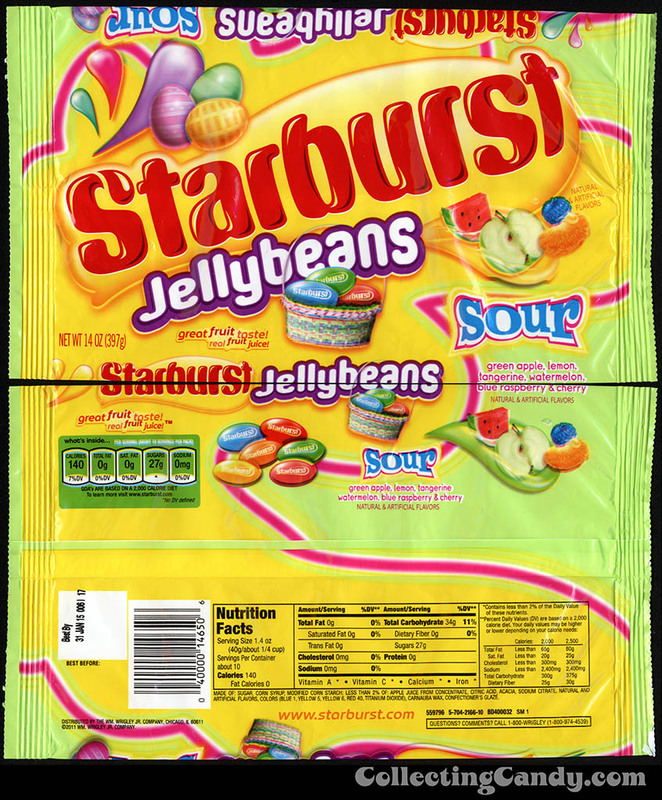 I love them – I wish they weren’t an Easter-only product! Next Easter, I’ll stock up!